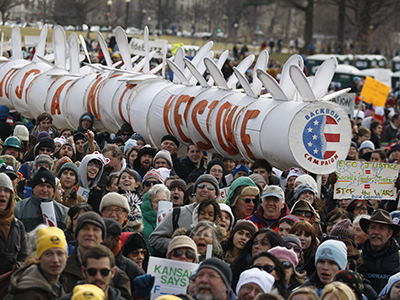 Tens of thousands of protesters marched through the streets of Washington, DC, on Sunday to protest the controversial Keystone XL project, which would see an oil pipeline run across the US Midwest. ­The march’s organizers, environmental movement 350.org, estimated that 40,000 people from 30 states took part in the ‘Forward on Climate’ rally, described as the biggest climate march in US history; police have not yet provided an official estimate. 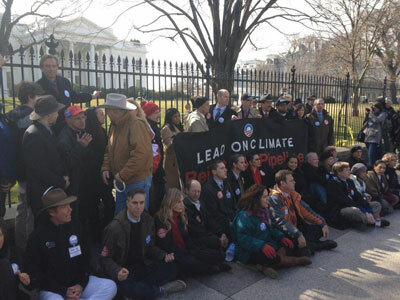 Protesters chanted "Keystone pipeline? 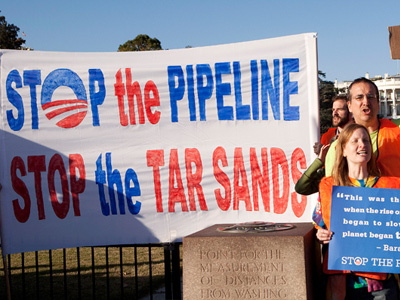 Shut it down," as they marched around the White House, calling on President Obama to reject the Keystone proposal and follow through on climate pledges made during his inaugural address. "For 25 years our government has basically ignored the climate crisis: now people in large numbers are finally demanding they get to work," 350.org founder Bill McKibben said, according to Reuters. The climate march comes in response to the latest call from a bipartisan group of senators to finally approve the $5.3-billion project, which has been pending for four-and-a-half years. The project has been embroiled in ongoing controversy. 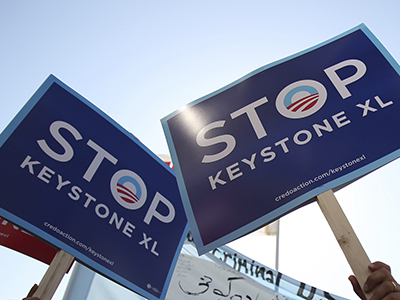 Supporters in the business community have argued the Keystone XL would create thousands of new jobs, and free the country from energy dependence on South American exporters such as Venezuela. However, environmentalists have expressed concerns over the pollution risks inherent in the controversial tar sands method of oil production. 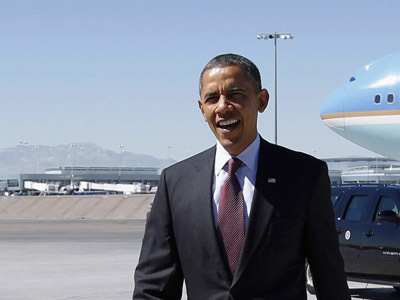 The first section of the Keystone project, built by Canadian company TransCanada, was approved by the Bush administration and now sees oil transported from Alberta, Canada, to Illinois and Oklahoma. The remaining sections of the Alberta-to-Texas pipeline have been put on hold following the 2010 BP oil spill, which sparked widespread environmental concerns over the Keystone project, especially the possible damage to sensitive ecological zones in Nebraska. 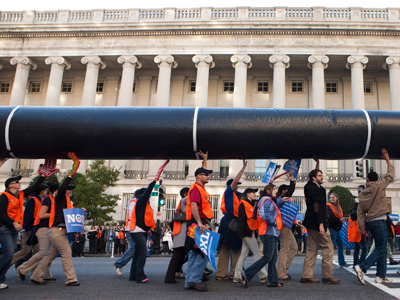 The Obama administration blocked construction of the Keystone XL pipeline over a year ago. However, the recent approval of an alternative route for the pipeline has increased the chance that the proposal will be given the green light.